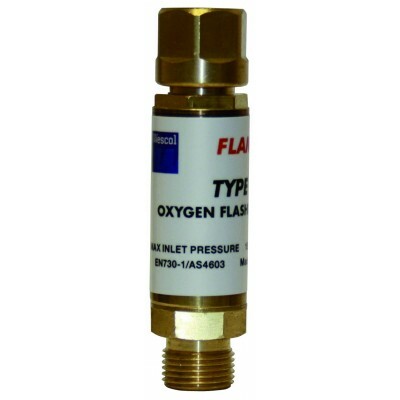 Twin-outlet valves let you connect two sets of hoses and torch equipment to a single gas inlet, in order to use a single set of bottles, regulators and flashback arrestors. With independent adjustment knobs, you can control the flow of gas from each outlet individually. 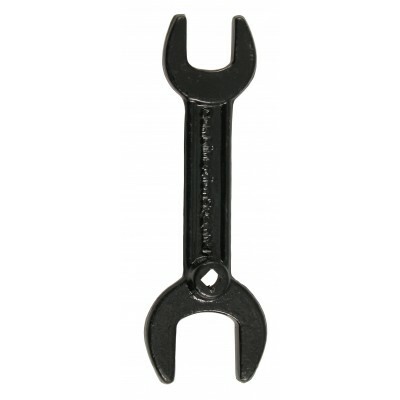 This product is used to divide an oxygen cylinder outlet to provide gas to two hoses from the same regulator. It is not suitable for mounting two flashback arrestors. 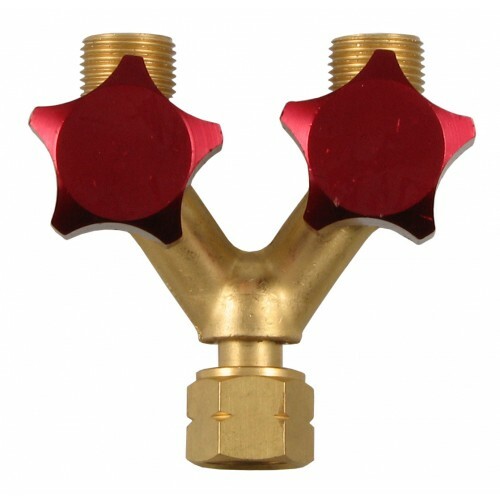 The valve connects to the regulator outlet, by way of a 3/8” BSP threaded nut and provides independently variable supplies of the gas to two hoses. 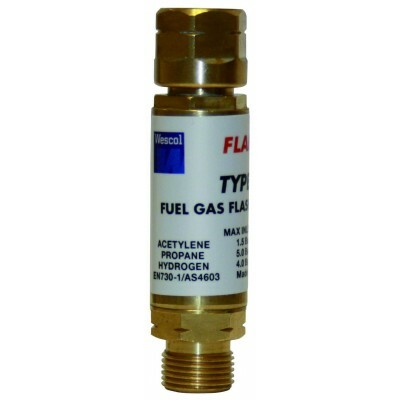 Gas supply can be changed by the flow-control knobs located on each hose line.